Native folk & blues rocker Keith Secola is an accomplished artist: award-winning musician, guitarist and native flute player; singer, songwriter, and producer. His music is familiar to thousands of fans across North America and Europe. 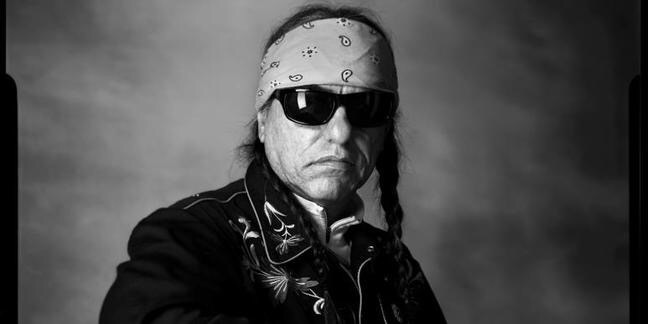 Keith’s famous song,”NDN KARS” is considered the contemporary Native American anthem and is the most requested song on Native radio in the US and Canada. Keith Secola is Anishinabe (Ojibwa) originally from the Mesabi Iron Range country of northern Minnesota, now residing in Arizona. He is a member of the Anishinabe Nation of northern Minnesota and southern Ontario,Canada. This entry was posted in Make No Bones Shows and tagged keith Secola. Bookmark the permalink.